Your trip to Goa would be incomplete without lipsmacking Goan recipes. 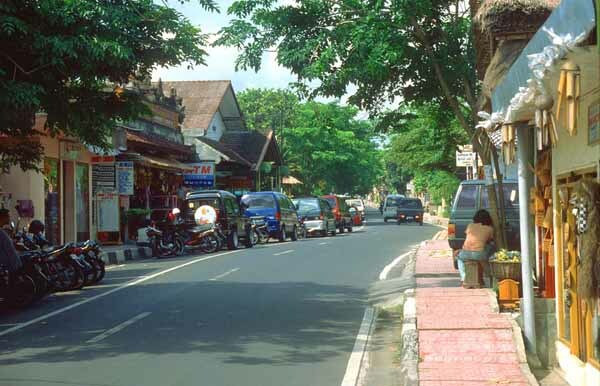 Goa cuisine is known for a great combination of mouthwatering Indian spices and Latin cravings for meat and fish. One of the major ingredients of Goan recipes is Cashew. Since time immemorial, Goan delicacies are known for varied influences. Although, the basic technique is same, still time has changed these recipes a lot. Other major highlights of Goan recipes are rice, fish and coconut. Most of the Goan dishes are comprised of rice, fish and coconut. 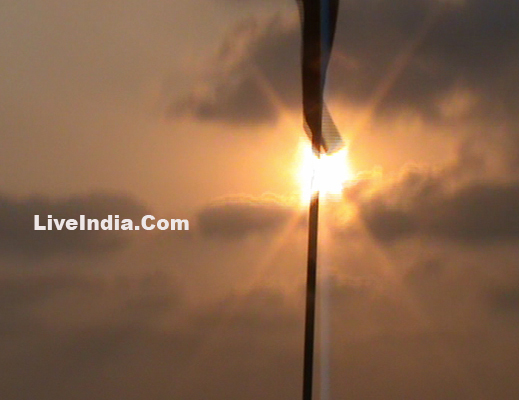 Goans are mainly seafood eaters and love to eat prawns, lobsters, crabs and jumbo pomfrets. All of them are also used for preparing delicious soups, salads, fries, curries, pickles and fries. Goan delicacies are considered incomplete without coconut milk. In order to prepare coconut milk, you need to grate white flesh of coconut. Now, take a warm cup of water and soak in it. Red chilies, tamarind and Kokum are other major ingredients of Goan dishes. Kokum is a deep red colored fruit having sour flavor. Vinegar used in Goan delicacies is a little different. It is usually made up of toddy. Spicy and tangy chutneys are also the major highlights of Goa dining. Seafood, chicken and pork are the major Goan food. If you want to enjoy the foods having Portuguese influence then go for caldeirada, racheiado and cabidela. If your budget do not allow then you may go for a cheap meal at George Restaurant. Another great option for enjoying Goan delicacies is Hospedaria Venite. 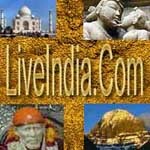 India as a nation has culturally been devoid of Night life. But in Goa nightlife doesn’t get bigger than this. Foot thumping numbers, Rocking dance floors, Pulsating beach shacks, wine, food, fun loving Goans and the seductive rhythm soon gets you over. You will find ideal places with ambience for you and your family and everyday festivities will keep you entertained for the rest of the night. Want to add a spark to your life, get into groove, shake a leg, and spice it up, pop into any restaurant or a bar with or without your family and let the night get you. Because night is when the life begins here. For people romantic at heart, candlelit dinner at a beach is simply awesome. Food: If you’ve tasted exotic variety of food in Goa, you’ve tasted it all! Continental, Goan, Chinese, Italian, Indian cuisine, you name it and you’ll have it. ‘Titos’ is located on a beaches and offers spectacular experience while 'The Beachotheque' a discotheque rocks all the night and ‘Ozone’ at Miramar beach, ‘Lidos’ at Dona Paula is an all time favorite for Party animals on the prowl. 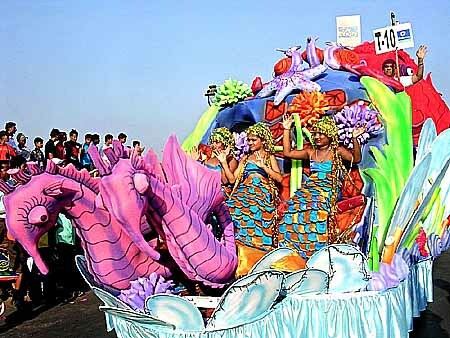 Fun and Merriment are the two main themes of Goa carnival. Roads are jam-packed and there are three days of continuous music, dance and fun in the delightfully cool February season. Goa Carnival presents different shades of Goa and people start rehearsing for the plays to be presented at the carnival since late December or early January. 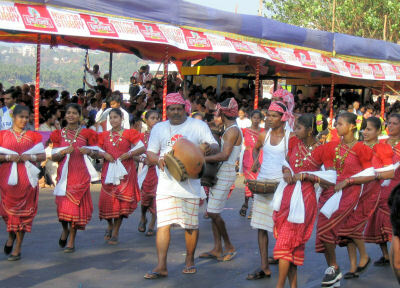 The musical short plays are composed by the natives of Goa and often are historical in their themes. Performed by men only, the colorful costumes and headgears of the artists surpass those worn by any primitive tribe in Asia or Africa. Colorful processions and lavish floats fill the streets for three days and four nights while participants and spectators dance with the music alike. The Goa carnival is now a social festival bringing together the different sections of society as people dress up in combat uniform waging mock wars with potatoes or color powders. Young people mounted on trucks throw buckets of colored water at the spectators. A person is chosen to impersonate King Momo, who started the carnival, for three days and distribute prizes to various contestants for their excellent performances during the carnival in Goa. Goan carnival is indeed an experience never to forget with three days of dancing, music and extravagant fun and endless happy memories. The isolation of Goa from the rest of India for more than four centuries under the Portuguese rule, combined with it's geographical borders in the form of the Sahyadri ranges and the tidal rivers have managed to give the people of Goa a unique identity. Hindus and Christians are the two major communities in Goa. 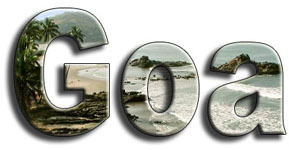 Goa's population consists of 65% Hindus and 30% Christians and the other 5% of Muslims and other religions. The Hindu community covers the talukas (districts) of Ponda, Bicholim, Pernem, Satari, Sanguem, Quepem and Canacona. These areas actually form part of the Novas Conquistas, or the New Conquests, made by the Portuguese in the eighteenth century, the last stage of the expansion of their Goan empire. The decline of the Portuguese military on this phase of their rule has resulted in the decline of the religious ardour for forced conversions by the Portuguese. Hence the population in these newly conquered areas were pretty much left to practise their religion in peace. 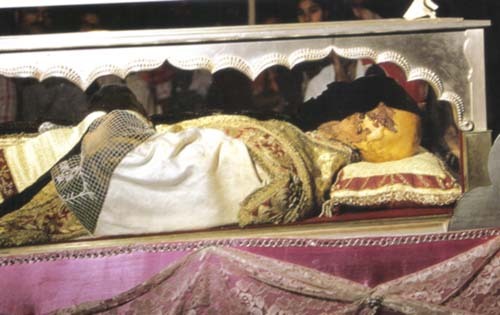 The Old Conquests on the other hand, consisting of Salcete, Mormugao, Tiswadi and Bardez bore the brunt of the Portuguese army and the religious zealots. Together, the two arms of the Portuguese empire, managed to destroy temples and converted hundreds of non-Christians in these areas, which are predominantly Christian today. Fortunately, these bitter memories of the past have done nothing to change the warm, friendly and loving nature of the Goan people. More often than not, Goans consider themselves as Goan first and a Hindu, Christian or Muslim afterwards. The bonds of language and the Goan identity are strong enough to allow for different religious persuasions. The Goans have a great respect to each others faith and religion, and hence religious fundamentalism is completely unknown in the state.